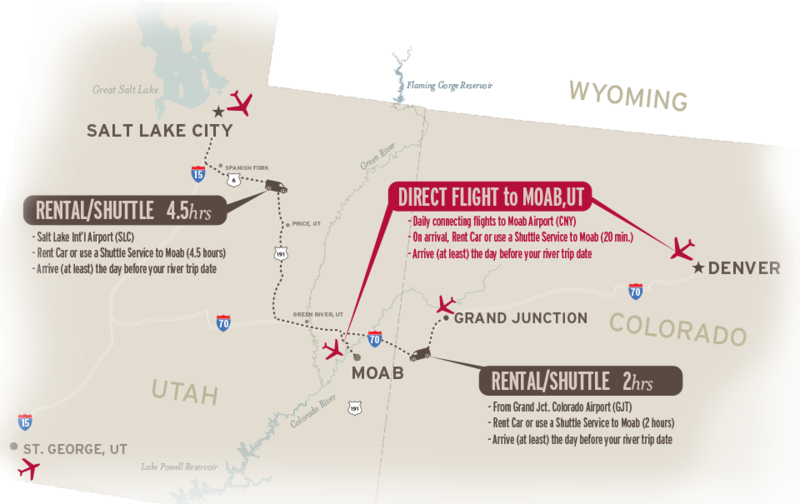 Choose either a direct flight to Moab's Canyonlands Field Airport (CNY) and grab a shuttle or rental car to town (10-20 minutes). Or, arrive at one of several International airports within the 500 mile radius and drive or shuttle from there. Canyonlands Field Airport is the official name of the "Moab Airport". 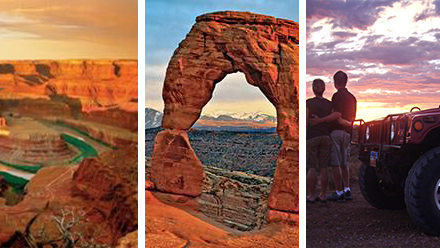 Skywest, dba United, offers daily flights to Moab from Denver (DEN). To avoid a flight path to Moab that doesn't route through Anchorage, AK or some other far away place, be sure to plan your flight to Denver and add your connecting flight from there. Once arrived in Moab airport, car rentals or shuttle services are required to bring you into the town of Moab, about 10 minutes to the south of Canyonlands Field Airport. 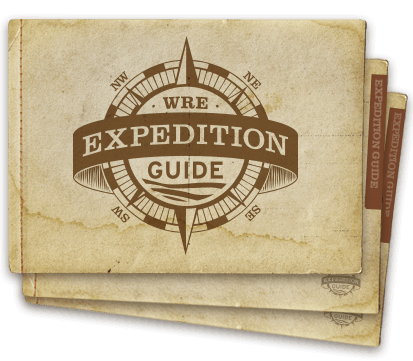 Note: Canyonlands Car & Jeep Rental have special connections with Western River and Moab Adventure Center, adding some extra conveniences. Drive (rental car) to Moab from the international airports in the 500 mile radius. We recommend the scenic drives from either Salt Lake City, Utah or Denver, Colorado. Car rental at the airport is highly recommended over shuttle services as it is a cheaper option and gives you independence once in Moab. Fly to Salt Lake City, Utah (SLC) and rent a car (4 hour drive to Moab) - Directions to Moab from Salt Lake International: I-80 eastbound to Exit 121 to I-15 southbound, Exit 257 to Price, Hwy 89 continue up Spanish Fork Canyon Hwy 6 toward Price, continue south Hwy 6 becomes Hwy 191 to Moab, short eastbound on I-70 toward Denver, Exit 182 to Hwy 191 toward Moab. 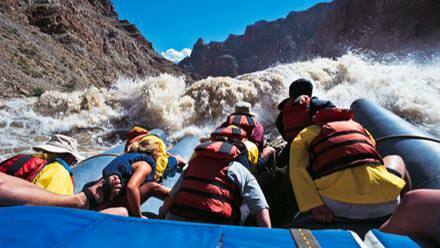 Let's get you on the river! Click or call our friendly staff and we'll talk through the possibilities.